We are having a hot summer. Germany is sunning itself, whilst we sun your car with a wrap. 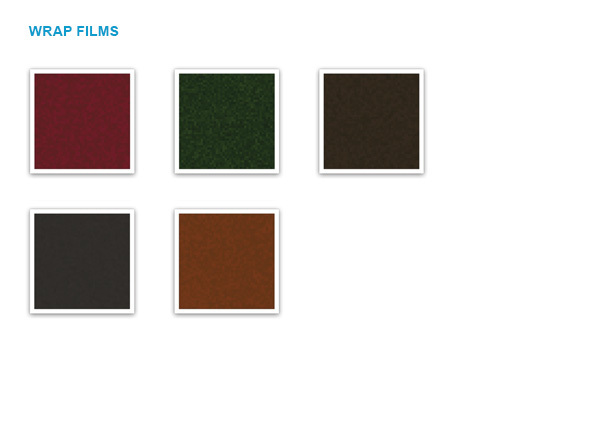 Matt red metallic - "Will"
Matt copper metallic – "Rebecca"
Matt pine green metallic – "Juri"
Matt coal black – "Lana"
Matt brown metallic – "Jens"
To see our entire collection of car films, please visit Wrap films & Protective films and Graphic films. For those cases where your car model may not yet be in the Carfrogger configurator, as some of you may know, we have developed the Carfrogger Car models. You may already know Cityfrogg, Classyfrogg, Sportyfrogg or Outdoorfrogg. We have now added Luxuryfrogg to this Carfrogger family. Anton von Rueden und das gesamte Carfrogger-Team! Mattes Rot Metallic namens "Will"
Mattes Kupfer Metallic namens "Rebecca"
Mattes Kohlenschwarz Metallic namens "Lana"
Die gesamte Folienauswahl könnt Ihr euch auf den Seiten Wrap films & Schutzfolien und Graphic films anschauen. Für den Fall, dass Euer Auto noch nicht in unserem Konfigurator vorhanden ist haben wir, wie Ihr wisst, die Carfrogger Marke entwickelt. Den CityFrogg, den ClassyFrogg, den SportyFrogg und den OutdoorFrogg kennt Ihr ja schon; ab sofort reiht sich jetzt der LuxuryFrogg mit in die Carfrogger Familie ein.